Researchers developed a new way of using MRI (magnetic resonance imaging) to better distinguish multiple sclerosis (MS)-related “white spots” from similar brain lesions that corresponding to other conditions. 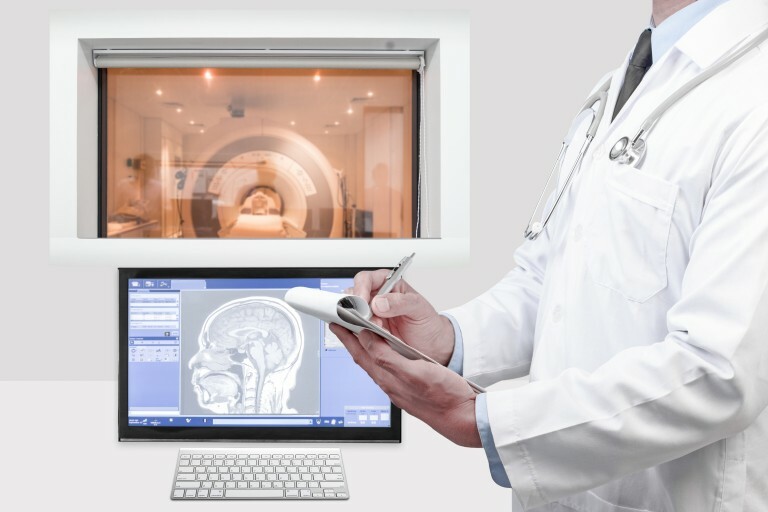 Their article, “Imaging central veins in brain lesions with 3-T T2*-weighted magnetic resonance imaging differentiates multiple sclerosis from microangiopathic brain lesions,” was published in the Multiple Sclerosis Journal. MRI is a valuable diagnostic tool for detecting brain abnormalities, being particularly sensitive in the evaluation of white matter lesions. These lesions are mostly the result of cerebral microangiopathy, a condition that affects the small vessels in the brain. However, demyelination (myelin destruction), a hallmark of MS, can also cause white matter lesions, but conventional MRI cannot always distinguish similar-looking lesions. Researchers at The University of Nottingham and Nottingham University Hospitals NHS Trust tested if a special type of MRI, called a 3-T T2*-weighted MRI, could distinguish MS lesions from microangiopathic white matter brain lesions. This type of MRI is able to reveal white matter lesions that are centered on a vein, a distinctive feature of MS. The researchers studied its use in a total of 40 patients. In the first part of the study, 10 patients with MS and 10 patients with microangiopathic white matter lesions underwent 3-T T2*-weighted brain MRI, and diagnostic rules were established according to the evaluation of scans. For validation purposes, 20 more patients, 13 with MS and 7 with microangiopathic lesions, were assessed with the same process by a blinded observer. The results showed that all 10 MS patients in the first cohort had central veins visible in more than 45 percent of their brain lesions, while the 10 with non-MS lesions had central veins visible in less than 45 percent of lesions. When these diagnostic rules were applied to the second, blinded-observer cohort, the patients were correctly and quickly diagnosed, leading researchers to believe that this MRI procedure can have clinical application for the distinction of MS and microangiopathic lesions.